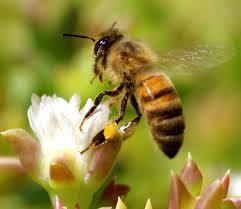 A bee venom has been found to destroy the human immunodeficiency virus (HIV), while leaving surrounding cells unharmed. New research from Washington University’s school of medicine found that bee venom contains a potent toxin called melittin that can poke holes in the HIV virus envelope. The toxin is not only limited to HIV as melittin-loaded nanoparticles are effective in killing cancer tumor cells. According to Dr Hood, the senior lead researcher Melittin on the nanoparticles fuses with the viral envelope. “The melittin forms little pore-like attack complexes and ruptures the envelope, stripping it off the virus,” Hood said. The advantage is that the nanoparticles containing melittin attack the essential part of the virus stucture, rather than the current class of anti-HIV drugs which merely prevent the virus from replicating. Some strains of the virus have mutated rendering an inhibitory class of anti-viral medication useless. ← FDA announces Chicken of the Sea Tuna recall.